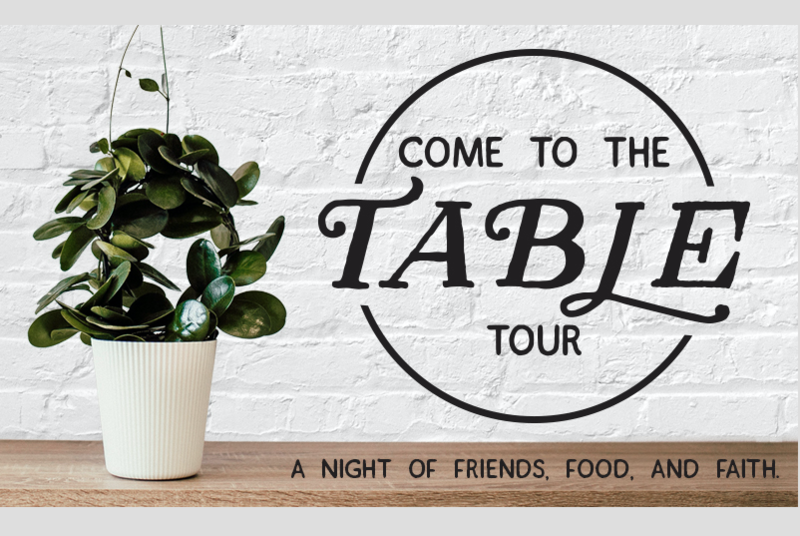 Join Angie Smith, Danielle Walker, and Annie Downs for a night of laughter, digging into Scripture, and cooking around the table together. We’re so excited to invite you to a new kind of experience than you’ve had before-one where you’re introduced to our personal worlds and invited to be a part of them. Have you ever doubted that you’re welcome at the table? Afraid to even try? Unsure what community and faith look like? Come spend some time with us; we’ve saved a seat just for you. All times are subject to change without notice. No meals will be served at this event.